AVIALSA T-35, SL operational mechanics has developed a new system for preventing and extinguishing forest fires with air facilities called AVA (Surveillance and Attack Aircraft). Basically, with the AVA Program aims to achieve a marked improvement in the extinction of forest fires through early detection and immediate air strike in its early stages. To do this, you must perform a certain number of air patrols that follow a predetermined route designed optimally in space and time so that this shape is fast and straightforward enough to immediately detect the fire forest, or in the worst case, any reduction of time spent in the attack on the fire. It is possible that a forest fire is detected by other means (whether air or ground), even in these cases, there would still be a radical improvement in reducing the time to attack the fire, because as described above, with This method is taking advantage of the wide availability of the aircraft during flight patrol. Everything described above, coupled with the significant cost reduction when using these planes as well as high performance and great precision in launching retardants, makes a program called highly effective method AVA Observation and Initial Attack in wildland fire suppression. Until now, the commonly used light aircraft were too fragile, slow and lacking in power, although its use was justified because of the economic factor because they could use the forest runways (STOL). Moreover, more powerful aircraft and larger were unfit for their inability to use these auxiliary tracks, as well as high operating costs thereof. 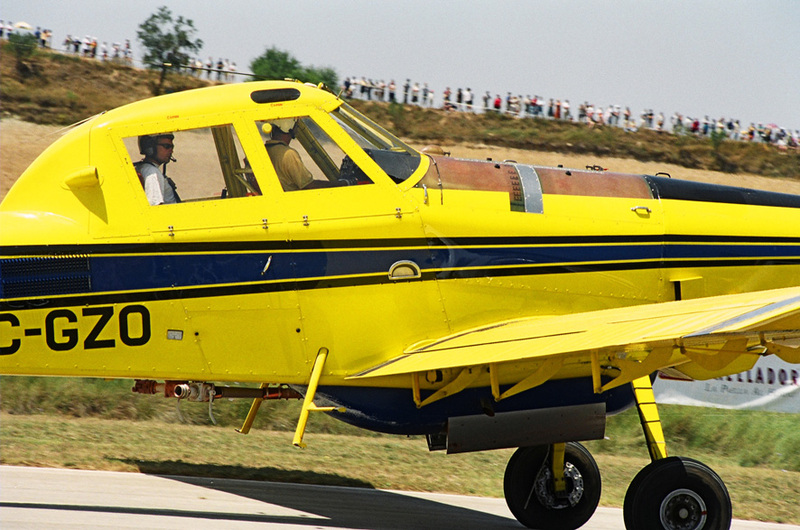 As for the overhead lines, the plane is selected AT-802A Air Tractor Fireboss, being the one that best meets the requirements of the program MONITORING AND ATTACK AIRCRAFT. This aircraft can operate from unprepared fields, has a very favorable speed range and its maintenance is easy. Your exhaust system is the most modern in the world, and has endless possibilities programming downloads. Another factor in favor of AT-802 is its high maneuverability, even fully loaded, allowing you to launch downloads with great precision in areas of difficult terrain. Visual observation of the preset area. Communications with central air and other media. Management and emission imaging cameras. Coordination with other local media. Conditions and / or weather forecasts. Social events in areas at risk. Any other circumstance that advises the control of certain forest areas. Current Status of the incident. Investigation of possible causes of the onset of fire. Possibility of danger surrounding residential areas. The availability of these aircraft will be permanent, giving the crews of mobile equipment (TMA), to be activated 24 hours a day. Once detected the source of fire, notified to the Central and received the order to attack the fire, blowing mix made for the type of fuel and subsequently schedule downloads on the computer of the aircraft. Transporting a minimum of water during the patrol. Having a tank foam to be injected in flight just before discharge. Equip a sluice gate system. All necessary requirements in an aircraft for fire fighting (power, handling, structural strength, etc.).. Issuance of messages over loudspeakers outside. A first release of 3,100 liters (water with foam). future release to fire retardant chemicals. Send retardant from the nearest base to reduce cycle time. Control of the surroundings to prevent possible fires simultaneously.